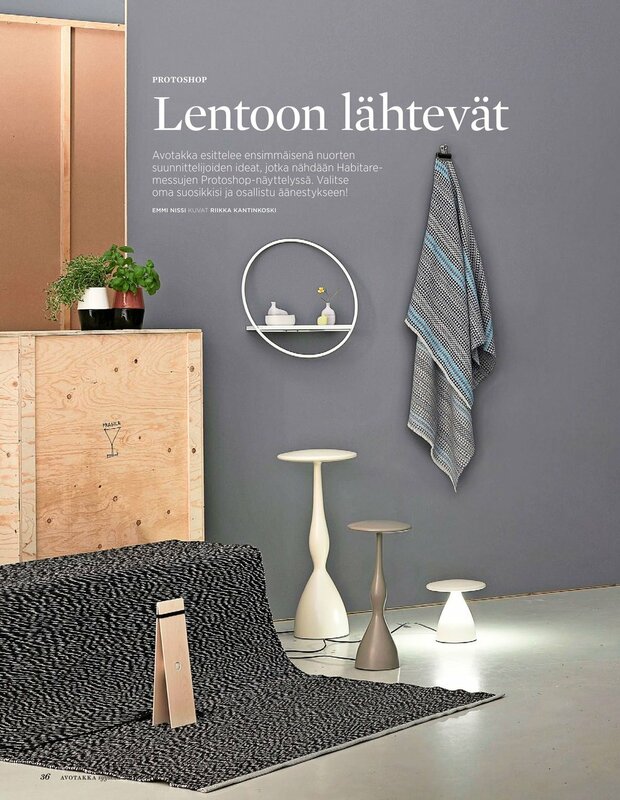 Lempi is a small buduoir shelf, which can be placed in a bedroom, bathroom or entrance hall. It can be used to display one's favourite perfumes and jewelry. The circular frame has been inspired by art deco style and it can be used for hanging clothes, a towel, or maybe a beloved dress to decorate the room. The frame is collapsible.